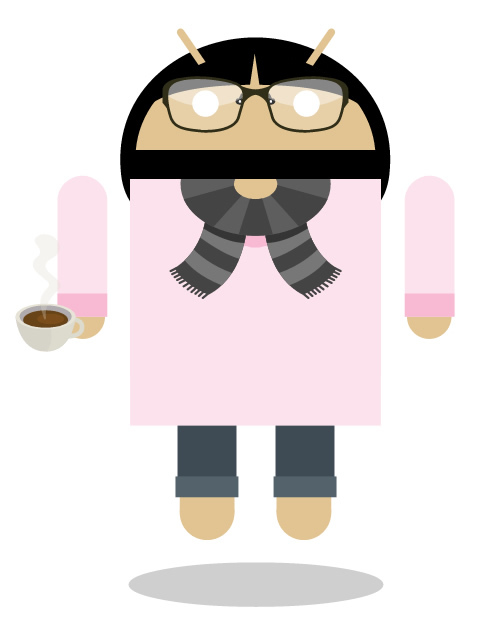 It has been another year since the last in the (unexpectedly popular) series exploring the Android apps I am running and, whilst I continue to use most of those, there are a host of new entrants worth mentioning. First off on the ROM-front, I currently run AOKP (that’s the Android Open Kang Project), which includes most of the latest features from CyanogenMod 9, with Nova Launcher for my home screen. These maintain the general Android 4.0 Ice Cream Sandwich UI, whilst providing a series of tweaks. SwiftKey 3 (beta) has just replaced Swype on my phone — I have always been a fan on tablet — because its predictive algorithm is so good that even one-handed I have found it faster than Swype. I still think it will be a matter of preference but thanks to Joe for giving me the nudge to check out the new beta. They certainly deserve their Webby! DoggCatcher is my podcast app of choice. It can be set automatically to download audio and video podcasts when on wifi so that your selections are ready to consume once you leave, even if you have no signal. It also supports video playback through third party players like my next selection. DICE Player is an excellent video player available in paid or ad-supported flavours. Aside from its smooth playback of HD footage in a range of formats, including .mkv, it includes advanced features like variable speed and subtitle support. CyanogenMod 9 Music, developed for CyanogenMod, is a limited modification of the stock ICS player but it is worth switching out for its tweaks to the notification panel controls, allowing a full set of playback controls and direct closing of the app. Meanwhile I am trying out Apollo which is being merged with CM9 for future releases, though I feel it still needs some work. Mi File Explorer is also extracted from another ROM, this time MIUI. It’s a very pretty file explorer with all the functionality you would expect (other than root access). However, the in-development Solid Explorer may replace it, with its two-panel drag-and-drop interface (and root access). Wunderlist is the last of the “utility” apps. It is a basic but easy to use list-making app that has just edged out Astrid as my favourite. Meanwhile, if you are in London, London Transport Live is a must-have. Camera apps: my scepticism when it comes to phone cameras remains unaltered, but I still enjoy trying out the latest imaging apps. My favourite straight shooting choice is Camera ZOOM FX. AfterFocus is a powerful tool for creating artificial depth-of-field effects to mimic SLR-taken shots. For more substantial filters Pixlr-o-matic offers the most advanced tools, whilst Instagram trades on ease of use and social integration (I wondered upon the popular app’s Android debut whether it would get me sharing more photos on the go — the answer is not so much). Browsers/Readers: For web browsing I have found the speed of the default ICS browser to be excellent. However my old favourite Dolphin Browser HD and Google’s own Chrome are worth considering. A leaked release of Flipboard provided a visually appealing way to flip through news and social media updates in an image-focused way (not dissimilar to the latest release of the Google+ app). However, my preferred news reader is Google Currents for its crisp, clean appearance which makes it incredibly easy to read. Although it only supports publications that have been specifically designed for it, most of my favourites are on offer. Finally, Pocket (previously Read-It-Later) lets you store and later read webpages you come across either on your phone or on a desktop browser with the respective plugin. Today I am plugging a couple of musical selections linked predominantly by their social effect on my life. 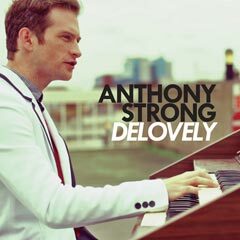 First up is a new music video from jazz singer/pianist Anthony Strong, For Once In My Life from his Delovely EP. Anthony is an old school friend of mine (as in we went to school together, not that he is old school). Anthony is the sort of person whose talent would be infuriating if he were not such a lovely, unassuming chap. He was also responsible for my initial introduction to some of London’s top burlesque performers, while he performed on that circuit. That has certainly led to a few of the more memorable nights out in the past few years. Unfortunately we seem to have reached a point where his releasing a CD or video is what reminds me that we are long overdue a drink. Therefore it is terribly important that you support him so that he can keep making great music and I can remember to catch up with him. Next up, Amanda Palmer is again using Kickstarter to crowdsource funding but this time it is a little more ambitious: raising funds outside of a label to produce and promote her new album and an accompanying artbook, and to embark upon a worldwide tour with a new band. Any donation above a dollar nets a copy of the album, and backers have access to the first single now. This return to a patronage system (albeit a distributed one: people have donated anywhere between $1 and $10,000 each) is, she proclaims, the future of music and I am inclined to agree. I am always fascinated by the varied fans she has hidden amongst my friends, who crawl out of the woodwork whenever I mention her, whilst the crowds at her gigs are amongst the easiest to strike up a conversation and connect with if I find myself there alone — after all, at least half of them are guaranteed to be Neil Gaiman fans too. This summer she plays a sold-out London gig the day Jenna and her family arrive. Having been able to witness Jenna’s first real gig experience back in New Orleans (it was A Perfect Circle), accompanying her to her first London gig is almost as enticing a prospect. Chameleon: an impressive looking homescreen in development for Android tablets. Ghild: a short film written by Michael Rosenbaum (though appreciation may require the aforementioned soul). New Yorker article on George “Geohot” Hotz, best known for unlocking the iPhone and the PlayStation 3. By now Keggfest, the annual post-Easter celebration of chocolatey delights, should require no introduction. This year’s Keggfest actually took place about two weeks ago but I only just got round to checking out the photos, most of which are actually other people’s handiwork as my camera drifted between hands over the course of the night. The third year running of the London-based Keggfest, it now has as many years under its belt as its Cantabrigian predecessor. In the spirit of the past year’s democratic uprisings — and because of the problems caused by last year‘s late date-change — the actual date fell to a vote, which means I cannot be held responsible (no matter what the absent Kirsten may claim). It resulted in a good turnout over the course of the evening, though no one traveled quite as far as last year when we had guests from N. Ireland and the USA. “The Keggteorite”, my sculpture for this year was a cake-based diorama with an alien object having plummeted to Earth, cracking open and spilling its, um, buttons. Admittedly it doesn’t quite challenge this record-breaking 8000kg masterpiece (maybe we can book them next year?). Whilst the traditional wine and chocolate binge continued as normal, there was slightly less chocolatey destruction with the exception of a certain incident involving a telescopic vacuum cleaner pipe and a refrigerated Kegg. As the kids say: standard. I’m already looking forward to next year’s bash. “That’s nearly the size of my head,” I thought apprehensively as I extracted the large metal cube of an aftermarket CPU heatsink from its box. Looking at the assortment of metal and bolts required just to mount it, I wondered if I had made a huge mistake. But as the screws glinted under the spotlights of the living room, surrounded by a myriad of electronic parts destined to form a greater whole, I smiled. So long as it actually fitted in the case, this was going to be fun. I am left slightly concerned that for me building a PC may be less about the end result and more like a £1,000 single-use Lego kit. At which point I really ought just to buy LEGO 10179. Some of you will recall that my primary machines (i.e. desktops and laptops) are named after fictional AIs, hence MAX (the onboard AI of the alien spacecraft in the 80s classic Flight of the Navigator) and Daedalus (the mysterious AI that chooses to assist the player in the original Deus Ex). Most readers ought to recognise the origin of my new machine, JARVIS, the name narrowly beating out rival option GERTY. JARVIS follows my usual design philosophy for computers which means a good but not excessive graphics card to keep things cooler and quieter, coupled with as much RAM as I can get on two sticks for a reasonable price. Currently, I discovered, that means a slightly excessive 16GB. With lower power draw in mind, I have been waiting for Intel’s new Ivybridge processors so under the hood is a 3.3 GHz Core i5, paired with an MSI mainboard and factory overclocked Radeon HD 7850. What really makes the machine fly, however, is that after experimenting with an SSD in my HTPC, I have been converted and picked up a 256GB Crucial SSD for the operating system and applications. Boot times are negligible and even Firefox launches swiftly! More substantial storage comes in the form of two convention HDDs transferred over from MAX, offering 3TB in total. The build is housed inside a sleek Antec Solo II case, an upgrade to the Sonata line which I used for MAX. It is based on the same silent computing principles, but with improved airflow and sound dampening polycarbonate panels lining the inside. I decided this was as good a time as any to test out the Windows 8 Consumer Preview but, while I’m still wrangling the new Metro-style Start Menu replacement, I’ll save my thoughts on it for another post. Even the bumbling Jacques Clouseau would have had scant difficulty identifying overarching the theme to the long weekend: film. Not merely film, in fact, but rather film experiences. It kicked off on Friday with a screening of La Haine put on by The Other Cinema, the group behind Secret Cinema (about which naturally I can tell you nothing). La Haine (“Hatred”) is a gritty 1995 French film about three young friends struggling in an impoverished housing project in the outskirts of Paris. About a decade ago, Asian Dub Foundation wrote their own soundtrack to the film and on Friday they performed it as a live accompaniment to the screening. Their diverse, multicultural sound was a perfect match with an unsettling score that represented the seething resentment between the protagonists and the police as it rose and withdrew but rarely fell silent. Ravi rightly commented that returning to the original film will be difficult, as it will undoubtedly lack a certain intensity. The themed screening was held out in East London with BMX bikers and break dances showing off their skills. Also shown, on what became a somewhat political evening with various spoken word performances, were the trailer and music video for Plan B’s “ill Manors” project. Whilst not a fan in the past, this I can certainly get behind. On Sunday afternoon Nick and I switched gears to blockbuster mode for The Avengers. When Marvel announced its intentions five years ago it sounded impressively ambitious but logistically unrealistic. When last year’s precursor films were announced it became achievable but still seemed destined for mediocrity in attempting to wrangle so many big characters and names into a single film. When the film was given to Joss Whedon to write and direct, I suddenly realised the benefit of Marvel Studios producing films themselves: they actually understand their own properties and the players in their own industry. The result is simply spectacular. Whedon’s fingerprints are all over the dialogue which allows for both character development as the Avengers gradually pull together as a team, as well as hilarious conflict and one-liners. I was surprised by people’s concern over Mark Ruffalo’s casting, calling him “untested” as the character, because Ruffalo always seemed perfect for the role (as well as being a hugely talented actor). Someone else described The Avengers as “the best Hulk movie ever made” and it’s certainly fair to say he steals most scenes in which he appears. The only minor downside is that, given Whedon’s talent for writing strong female characters, the male-dominated cast was already fixed. That he managed to make good use of even Black Widow despite her lack of superpowers is testament to his skill. It is hard to say much more without veering into spoiler territory but, even without its record-breaking box office takings, The Avengers has certainly set a new benchmark for superhero movies in the vein of my previous two favourites Spider-man 2 and Iron Man (there is limited use in comparison to The Dark Knight which is a very different kind of film). As for Whedon, the telephone is sure to be ringing a lot more, as Hollywood hopefully will finally realise what we’ve been telling them all along. Meanwhile, with The Amazing Spider-man and The Dark Knight Rises also out this summer, it will be interesting to see who ends up at the top of the comicbook pile. Finally on Sunday night Chandara and I went super old school with a silent film night courtesy of Ciné Illuminé. The film was 1929 classic Piccadilly, about a young Chinese girl given the chance to take centre stage at a London club, leading to an early noir-esque story of betrayal, forbidden love and murder. But the real treat is the atmosphere around the screening with a glamorous but intimate setting, themed cocktails, food-toting usherettes and most notably Luke Meredith’s live piano accompaniment to the film. Seeing (and hearing) the interaction as a musician reacts to what occurs on screen makes a startling difference. Ciné Illuminé looks here to stay with screenings announced for the first Sunday of each month for the foreseeable future.